The Stanley Hotel is best known for being the inspiration for Stephen King’s bestselling novel The Shining and the subsequent film starring Jack Nicholson as the slowly driven mad overseer. The Stanley Hotel is located in Estes Park Colorado, the gateway to one of the most visited national parks in the United States: Rocky Mountain National Park. Set amidst the beautiful mountain scenery of Colorado, The Stanley Hotel was built in 1909 as a grand summer resort that catered to wealthy travelers from the East Coast. 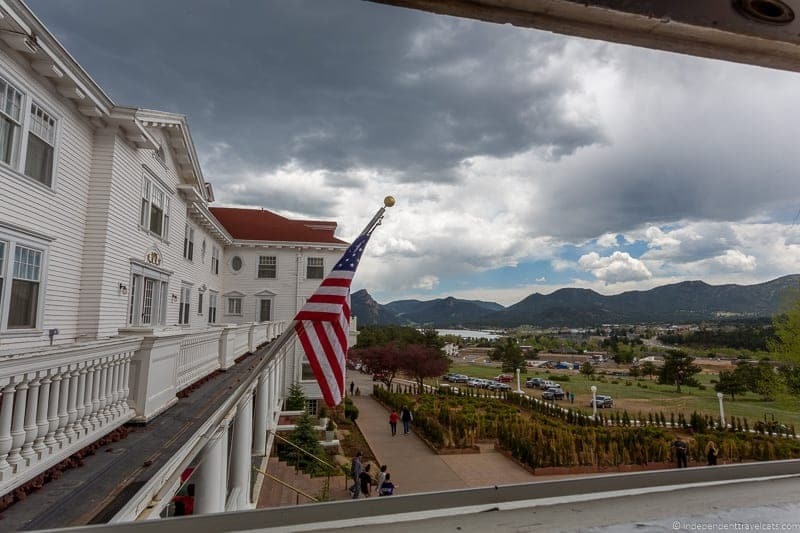 The Stanley Hotel has a storied history that begins well before Stephen King stepped foot on the property, and the hotel once hosted guests like Molly Brown, John Philip Sousa, and Theodore Roosevelt. Today the hotel is listed on the National Register of Historic Places and is a member of Historic Hotels of America. 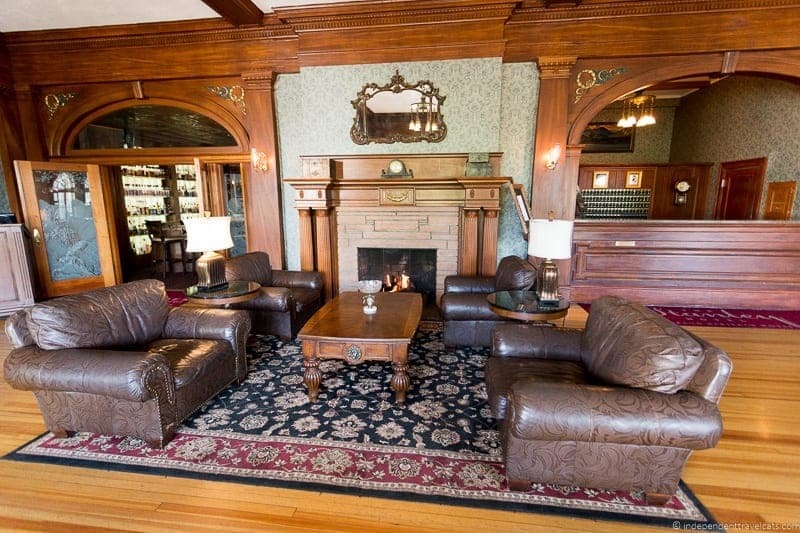 Visitors to Estes Park flock to the hotel to take a tour, have a drink at the Whiskey Lounge, and stay overnight in one of its historical (and perhaps haunted) rooms. We’ll share a bit of The Stanley Hotel’s history and our experience touring, eating, and sleeping at this famous hotel. Here is some basic information for planning your visit and stay at The Stanley Hotel. The Stanley Hotel is most accessible for drivers by car. The Stanley Hotel is located 5 miles (15 minute drive) east of Rocky Mountain National Park and is about 40 miles (1 hour drive) from Boulder and 70 miles (1.5 hour drive) from Denver. Unfortunately, there are no good public transportation connections to Estes Park or Rocky Mountain National Park at this time. Room Types at The Stanley Hotel? There are a number of lodging options available at The Stanley Hotel and on the hotel grounds. 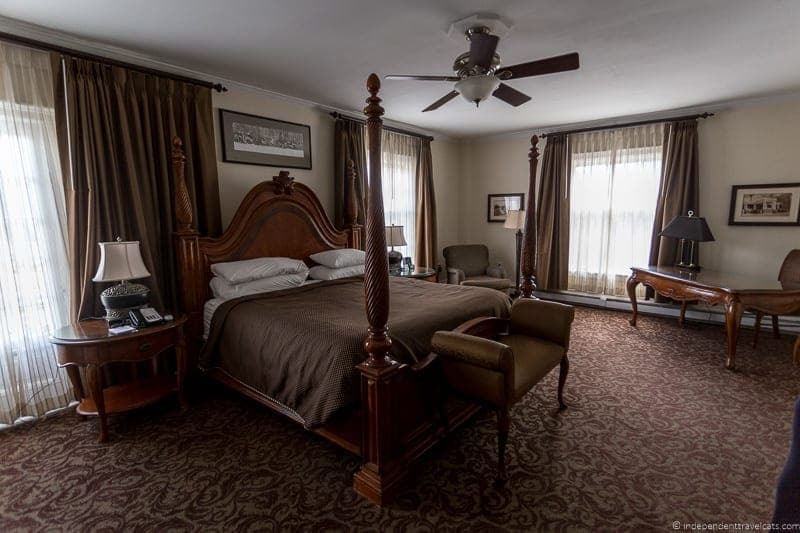 Main Hotel – original historic hotel rooms with classic furnishings located in the 1909 main hotel building. The Lodge – updated historic rooms with a boutique feel and more modern furnishings in the 1910 building built adjacent to the main hotel building. Note that the rooms in the main hotel and the lodge do not have air conditioning, but that the Aspire and Residences rooms do have A/C. Booking a Room at The Stanley Hotel? 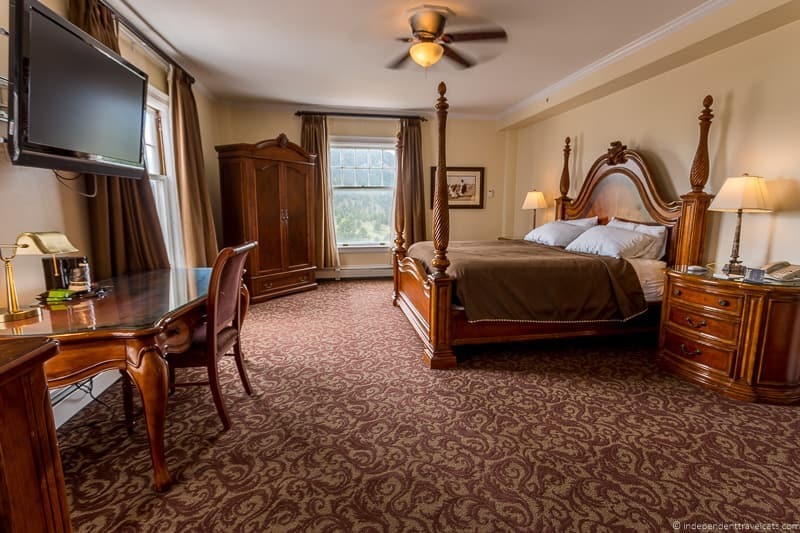 Rooms rates range from about $200 to $750 per night, with the Stanley Classic standard queen rooms in the main hotel and the standard queen rooms in The Lodge being the lowest priced. “Haunted rooms” cost more than standard rooms. Rooms can be booked by phone or online. If you want to request a certain room number or get a certain type of room (e.g., on the fourth floor, away from the tour path) you should book by phone directly with the hotel. Special packages for dog owners (allowed in the Lodge), Rocky Mountain National Park visitors, and ghost lovers are available. For best prices, check the hotel website for discounts and check prices here. Dining at The Stanley Hotel? There are several food and drink options. 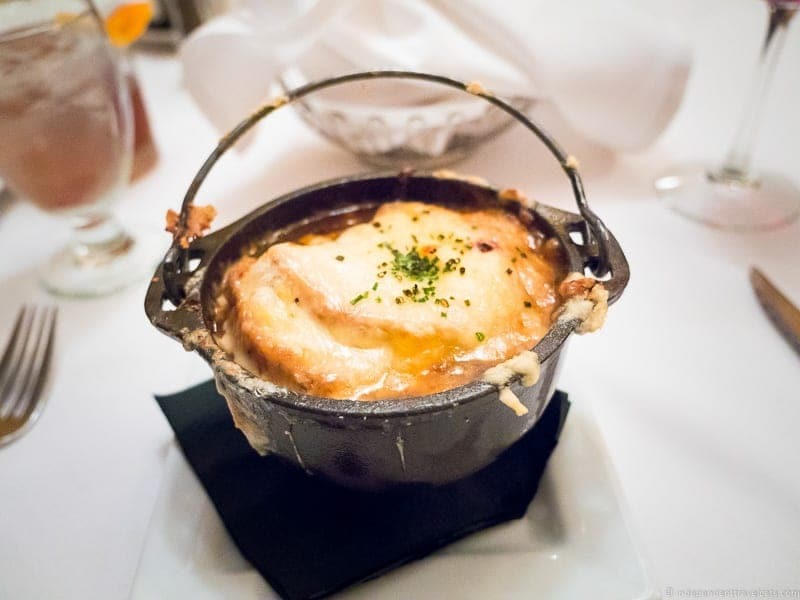 The Cascades Restaurant (reservations recommended) is a full-service sit-down restaurant specializing in American food with a number of Colorado specialties. 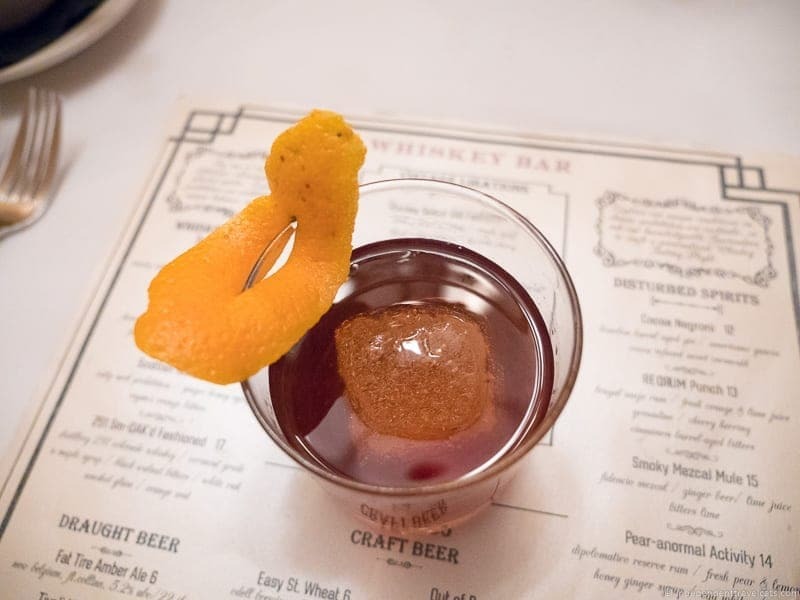 There is also The Whiskey Bar & Lounge located adjacent to the Cascades Restaurant that specializes in whiskey if you fancy a drink and it also serves casual cuisine. You can also get crafted coffee and gourmet food, snacks, and gifts at Colorado Cherry Co.
Booking Tours of The Stanley Hotel? Most visitors to the hotel do one of the offered tours. 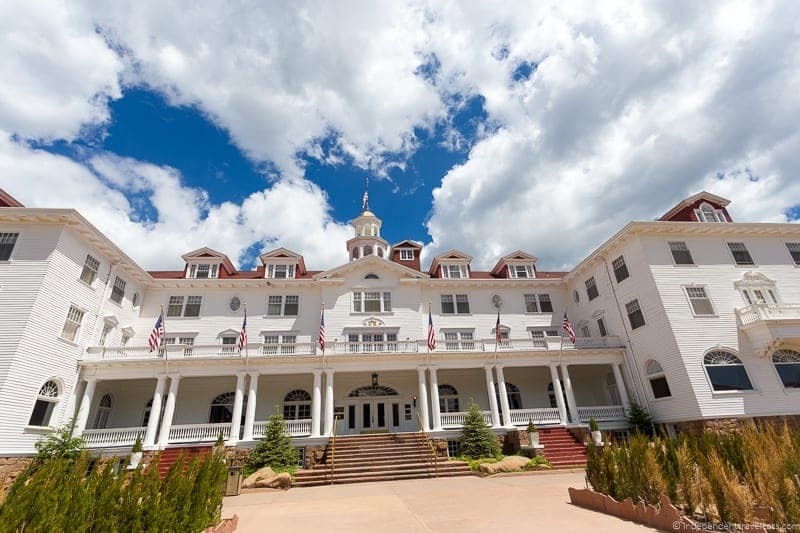 The main tours currently offered are the historical Stanley Hotel Tour which is offered during the day as well as special after dark evening tours. The tours covers the history of the hotel, the Stanleys, and the haunted aspects of the hotel. Both include a discussion of Stephen King and The Shining. Tours include a short video which introduces the hotel and shows visitors the interiors of the most famous rooms in the hotel (217, 401, etc. ), a tour of the Concert Hall, a walk around the exterior of the hotel, access to closed rooms on the main floor (billiards room, music room, MacGregor dining room), a brief hallway tour of the guest floors, and entrance into the service tunnel. Tours do not include access into any of the guest rooms (obviously!) and children under 5 years of age are not permitted on the tours. Tours can be booked in advance online or by phone (+1 970-577-4111) and the current price (as of February 2019) for the regular History Day Tour is USD $23.00 per person and it is $28 per person for the evening tours. There are discounts available for hotel guests, children, active military, AAA members, and seniors. Tours do sell out, so do book in advance if you know the date and time you want to visit. All those with a booked tour also receive free parking so have your booking confirmation handy when you drive into the hotel. Parking at The Stanley Hotel? Parking is limited at the hotel so they do charge a parking fee for non-guests (generally just in the busy summer season). Parking is complimentary for overnight hotel guests as well as those with advanced hotel tour or dining reservations, so have your booking confirmation ready for the gate attendant. Book tours and meals in advance to save on parking! Parking for those without an advanced booking is currently $10 per vehicle. In addition to its regular hotel tours, The Stanley Hotel also regularly has live entertainment on weekends throughout the year at its Stanley Live venue. The venue hosts comedians, concerts, bands, concerts, mystery dinner events, and more. You can see what’s currently happening and book tickets here. 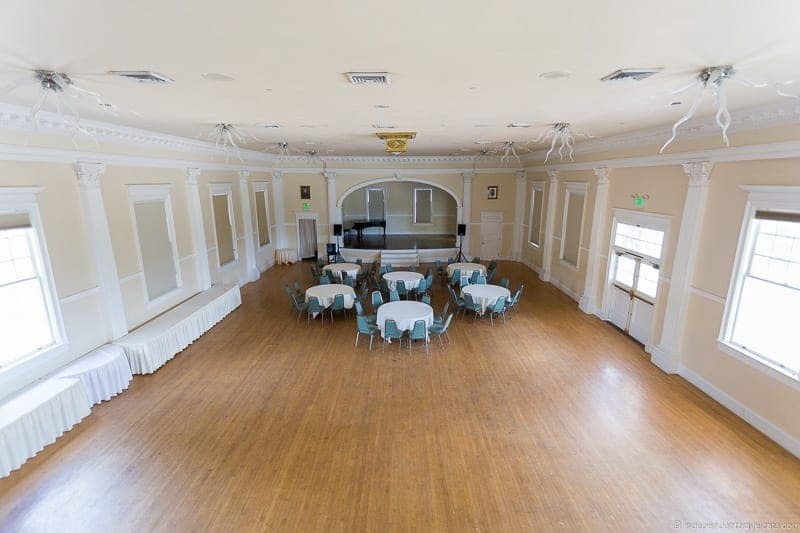 The Stanley Hotel has an excellent informative website, and you can also email them at info@stanleyhotel.com or call them at (970) 577-4000 or 1-800-976-1377 for more information. They can also provide information if you are interested in holding a wedding or event here. For more information about the area, check out the Estes Park visitor website, our suggested 2 day Rocky Mountain National Park itinerary, and the official park website for the Rocky Mountain National Park. Why is the Stanley Hotel Famous? The Stanley Hotel is famous for a few reasons. First for its historical place in the history of Estes Park and the development of the area. Second for its connection to Stephen King and The Shining, and lastly for the supposed hauntings and paranormal activity associated with the hotel. The man responsible for building The Stanley Hotel was Freelan Oscar Stanley. Stanley was born and raised in Maine and he and his identical twin brother Francis Edgar were entrepreneurs and inventors from a young age. 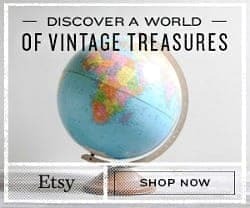 The sold maple syrup, made concert-quality violins, ran a company specializing in photographic dry plates (which they sold to Kodak), and designed the Stanley Steamer automobile. However, a life-threatening bout of tuberculosis in 1903 caused doctors to recommend that Stanley spend time in the curative Rocky Mountain air in Colorado. Stanley and his wife Flora went to Denver and later to Estes Park for the summer. During the summer in Estes Park in a rustic cabin, Stanley’s health recovered and he decided to return each year to Estes Park. In 1905, Stanley had built and moved into his own property in Estes Park, a four bedroom house. However, the couple decided after a couple of years that they wanted to be able to be able to accommodate more of their friends and provide the sort of social life that would impress their East Coast millionaire friends, so they built the Stanley Hotel. Completed in 1909, the Colonial Revival hotel featured the latest technologies, including a hydraulic elevator, electric and gas heating, running water, steam laundry, telephones in every guest room, and of course a fleet of Stanley “Model Z” Mountain Wagons that would transport guests to and from the local train depot. To entertain guests, a Concert Hall was built which was also a gift for Flora as she loved to play piano. However, the hotel lacked central heating (until 1983!) so it was only a seasonal hotel during most of its history, closing down each winter. Interestingly, The Stanley Hotel was not the first grand hotel in little Estes Park. The first was actually the Estes Park Hotel built in 1877 by Irishman Windham Thomas Wyndham-Quinn, who became the 4th Earl of Dunraven and Mount-Earl. The Earl enjoyed the hunting in the area and bought up a large amount of land in a manner that made him a very disliked figure among the local people. In 1908, it would actually be Lord Dunraven who would sell F.O. Stanley the land on which he built The Stanley Hotel. Sadly, the Estes Park Hotel would be destroyed by fire in 1911. The Stanley Hotel would host a number of wealthy and famous people in its heyday, such as socialite Margaret Brown (i.e. the “Unsinkable Molly Brown” of Titanic fame), composer John Philip Sousa, and Theodore Roosevelt. The Stanleys would arrange an array of summer activities for their wealthy guests, from concerts and picnics to bowling and horseback riding. The building and development of the hotel would not only give the wealthy a place to holiday, it would also have a great impact on Estes Park. It provided employment and training opportunities for local residents and it helped improve local services. For instance to power the hotel, Stanley constructed the Fall River Hydro-Plant which brought electricity to Estes Park for the first time. Stanley helped establish the first bank, funded the paving of roads, funded local schools, gifted vast tracts of land to the town, and helped Enos Mills on his quest to establish the Rocky Mountain National Park. The Stanleys and their grand hotel quite literally helped put the town on the map. The park was founded in 1915 and Estes Park was incorporated in 1917. F.O. Stanley never made a profit on the hotel and operated it more as a pastime, eventually selling it in his later years. Flora and F.O. continued to spend summers in Estes Park at their private residence with Flora passing away in 1939 and F.O. in 1940 (aged 91). Without Stanley’s vast fortune, subsequent owners had a difficult time maintaining the large resort hotel and it passed through owners, who like Stanley never managed to make a profit. By the time Stephen King fatefully showed up, the hotel was not in its best condition and it would be the fame of the novel and subsequent film The Shining that may have saved the hotel from the wrecking ball. The Stanley Hotel has a strong connection with Stephen King and The Shining. 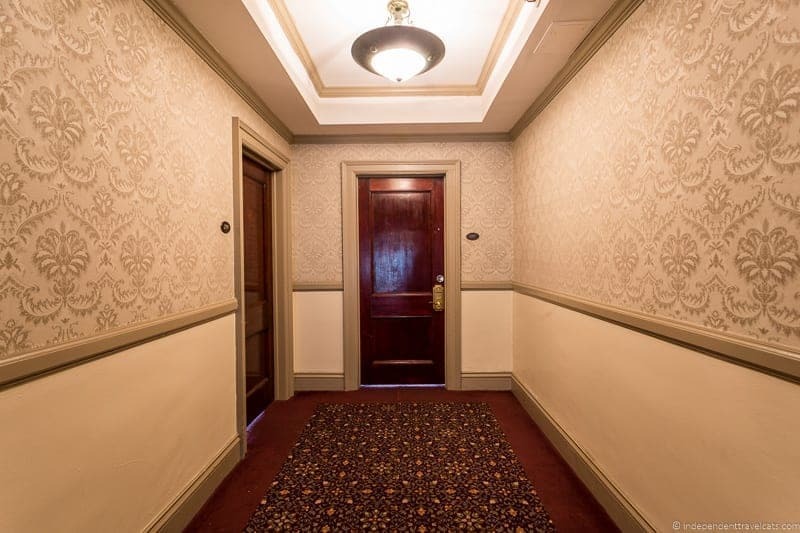 A big disappointment for a lot of visitors to The Stanley Hotel is learning that the hotel was not used in the filming of Stanley Kubrick’s film The Shining and neither the hotel exterior or interiors are going to look very familiar to film fans. However, the hotel did serve as the inspiration for Stephen King’s third novel, The Shining and was used in the later TV mini-series. In 1974, Stephen King and his wife Tabitha stayed overnight at The Stanley Hotel due to bad weather. Upon check-in the Kings discovered that it was the last day of the season, and the hotel was closing the following day, meaning there was limited staff and they were the only guests. They had a bit of an eerie and surreal experience being the only guests in the large resort hotel and that night King had a nightmare about his son being chased by a fire hose in the hallways of the hotel. He reported that by the time he left the hotel, he had the basic plot of The Shining in his mind, which he would publish in 1977. The novel quickly became a bestseller and remains one of King’s most popular novels. In 1980, Stanley Kubrick would direct the film version of King’s novel, choosing to film the vast majority of the movie on a film set, and using the Timberline Lodge in Oregon for a few of the exterior shots of the fictional Overlook Hotel. 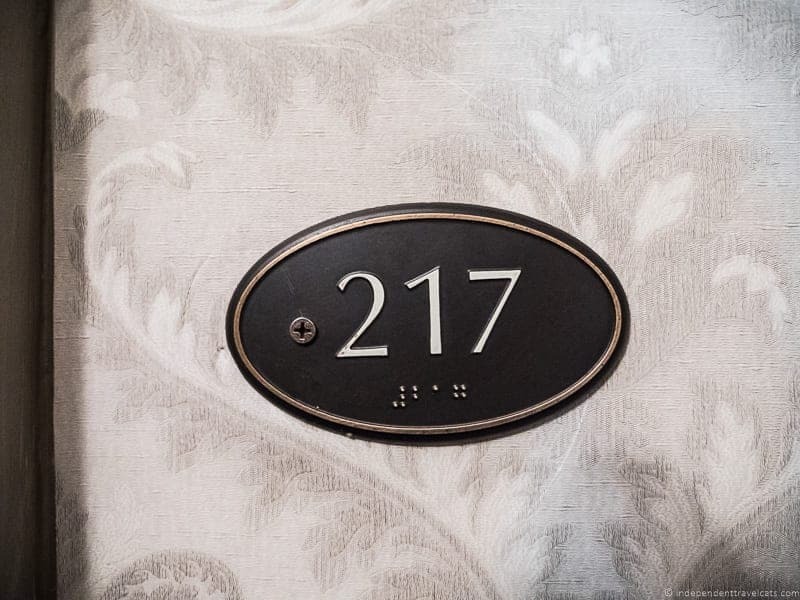 The room number was changed to 237 in the film, something the Timberline Hotel requested as it did not relate to an actual room number at the hotel as they were afraid guests would not want to sleep in the room featured in the horror film (they were wrong!). 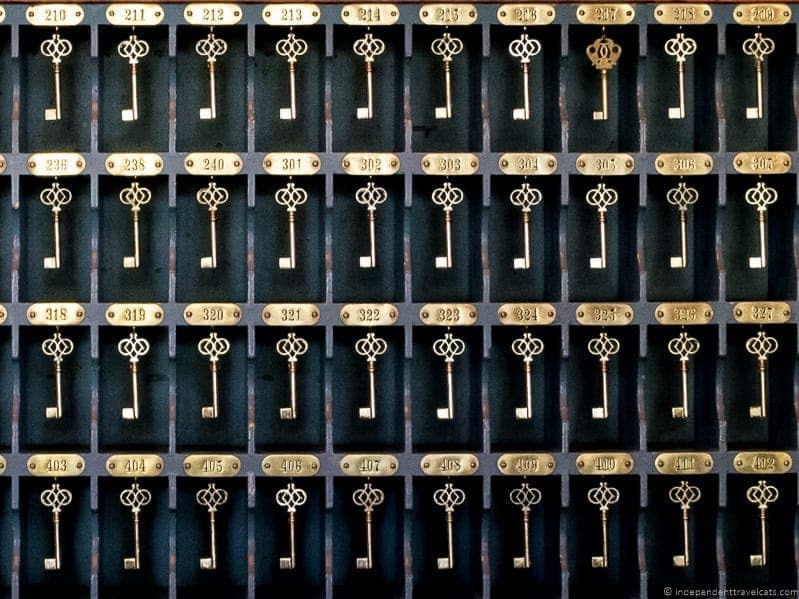 The memorable hedge maze in the film did not exist at the Stanley Hotel, the Timberline Lodge, or King’s fictional Overlook Hotel, but was added into Kubrick’s retelling of the story. 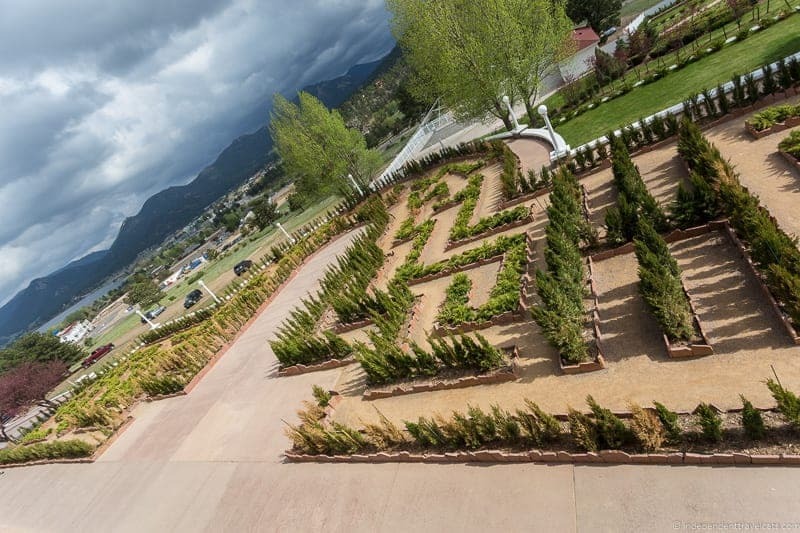 Interestingly, a hedge maze (although much smaller in scale) was planted at the Stanley Hotel in 2015 because of its connection with the film. King was generally disappointed with Kubrick’s adaptation of his novel and in 1997, Stephen King wrote a teleplay and produced a three-part The Shining TV mini-series directed by Mick Garris, using the Stanley Hotel as a primary filming location. 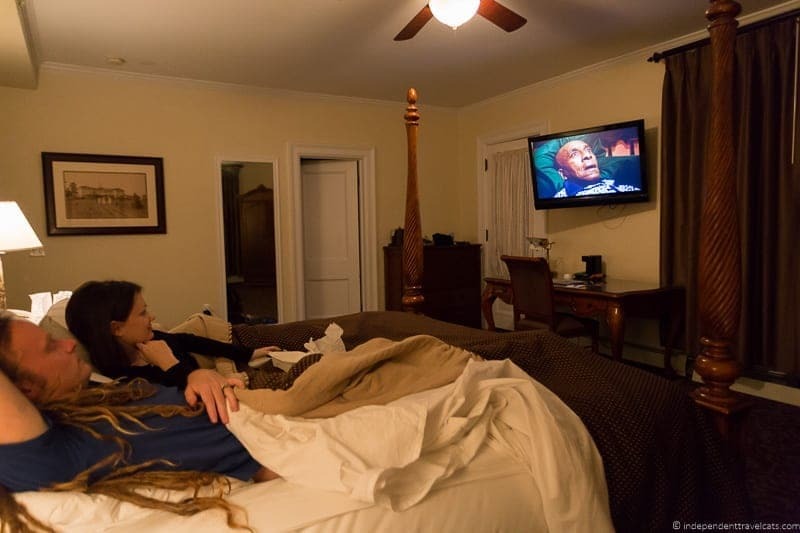 Today both the film and the mini-series are played on a loop on one channel at The Stanley so guests can enjoy the films while staying overnight at the hotel. The fact that Stephen King stopped at The Stanley Hotel was very fortuitous for the future of the hotel. The hotel at that point had fallen into decline and the success of the novel and film helped to greatly boost bookings for the hotel as well as lead to a fascination with the supposed hauntings at the hotel. The hotel also served as a filming location for other films and TV shows, notably the 1994 film Dumb and Dumber. Jim Carrey requested to stay in room 217 during the filming but left the room after only a few hours, and refused to return. It is unclear why he refused, but it seems he got spooked by something. 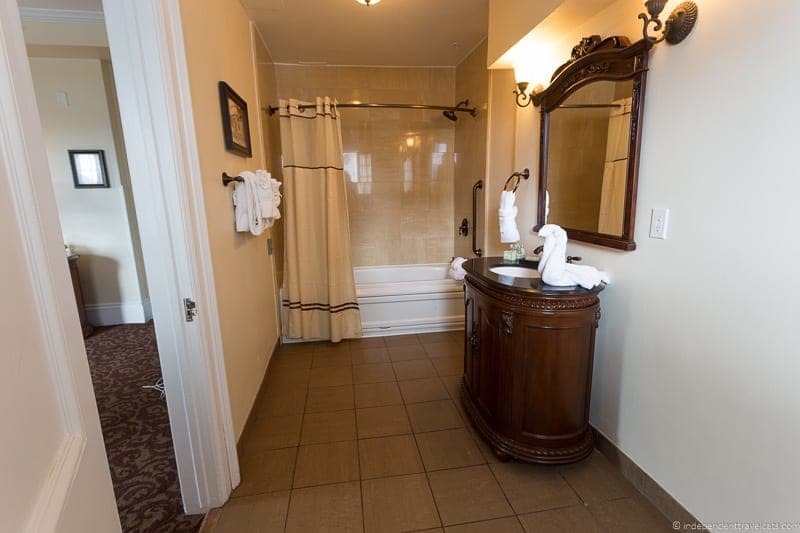 It is not surprising that 217 is one of the most popular and requested room at The Stanley Hotel. If you want the chance to stay here, be sure to book this room well in advance. The Stanley Hotel has been regularly visited by Ghost Hunters and is believed to be one of the most haunted hotels in the country. Some of the reported paranormal activity includes mysterious figures appearing on the staircase, clothing being folded and packed away, the piano playing by itself, strange apparitions in portraits and photographs, unseen noisy children running up and down the halls, moving nightstands, and shadowy figures. One supposed ghost is a former hotel chambermaid named Mrs. Elizabeth Wilson who in 1911 entered room 217 with a lit candle. A gas leak caused an explosion and she fell through the floor to the MacGregor dining room below. She survived with broken ankles and injuries; she was well taken care of by the Stanleys after the accident and spent the rest of her working life at the hotel. Now she is believed to be responsible for folding and putting away guests’ clothes and for her disapproval of unmarried couples sharing a room. Other ghosts include the Stanleys, Lord Dunraven (original landowner), children, and a kissing cowboy. Most are said to be friendly ghosts (laughing, folding your clothes, playing the piano) or standoffish, not sinister. The large number of strange happenings is believed by some to have a geological basis related to the types of minerals and rocks under the hotel which you can learn about on the hotel tours. 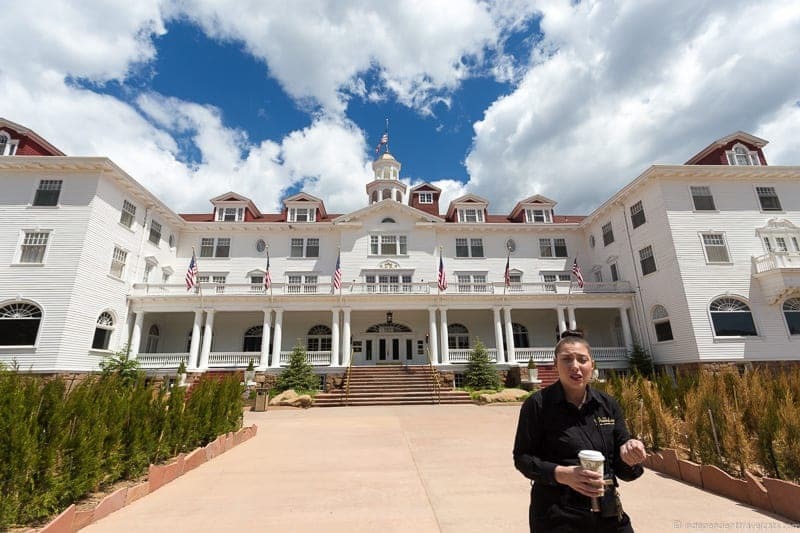 If you are interested in the haunted history of The Stanley Hotel, I’d suggest considering the evening Ghost Tour, the Ghost Adventure overnight package (includes a K2 meter! ), and choosing a room on the fourth floor. We were told the most haunted hotel room is 401, but rooms 217 (Elizabeth Wilson), 407, 428 (kissing cowboy), and 1302 are also said to have a fair amount of paranormal activity. The billiards room, hallways, and Concert Hall are also frequent settings for reported ghost sightings (visits are included in the hotel tours). We personally did not see any ghosts and are not huge believers in the paranormal, but there were certainly some die-hard believers on our hotel tour! 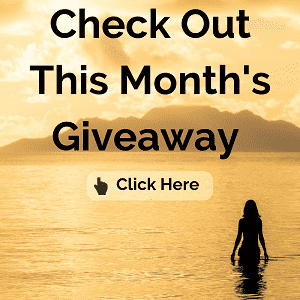 Can I Visit the Stanley Hotel without Staying Overnight? The answer to this is a definite yes. You can visit the hotel in a few different ways, with most people visiting to take a day or evening tour of the hotel, which can be reserved in advance by phone or online. You can also come for a drink at the Whiskey Bar or meal at the Cascades Restaurant or Steamers Cafe. If you do not have a tour reservation, you will likely be charged a parking fee so do try to book in advance if you can to save on parking and ensure you get a tour spot. If you do not take a guided tour and do not wish to stay overnight, you can still visit the exterior of the hotel, the recently planted hedge maze area, the gift shop, and the lobby area. Unless you take a tour, you will not have access to the guest room areas, Concert Hall, service tunnel, or other areas of the hotel. If you are standing outside of the hotel facing the front entrance, the infamous Room 217 is the second floor room with the white balcony on the left side of the hotel. Just remember that all visitors should be respectful of the staff and paying guests who are trying to sleep, work, and eat here! 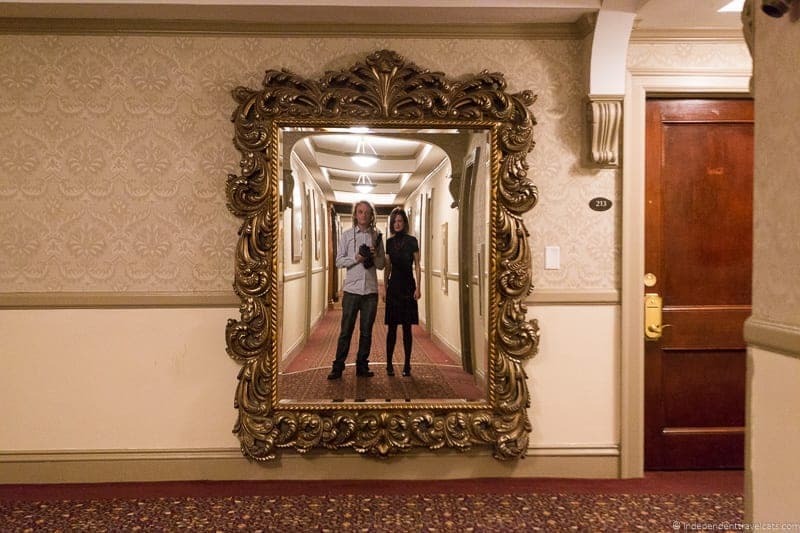 We spent two nights at the Stanley Hotel and during that time we did a hotel tour, ate two meals, visited the gift shop, and had drinks in the lounge, ensuring we had the full Stanley Hotel experience! We found it a great and convenient base for exploring the town of Estes Park and the beautiful Rocky Mountain National Park. 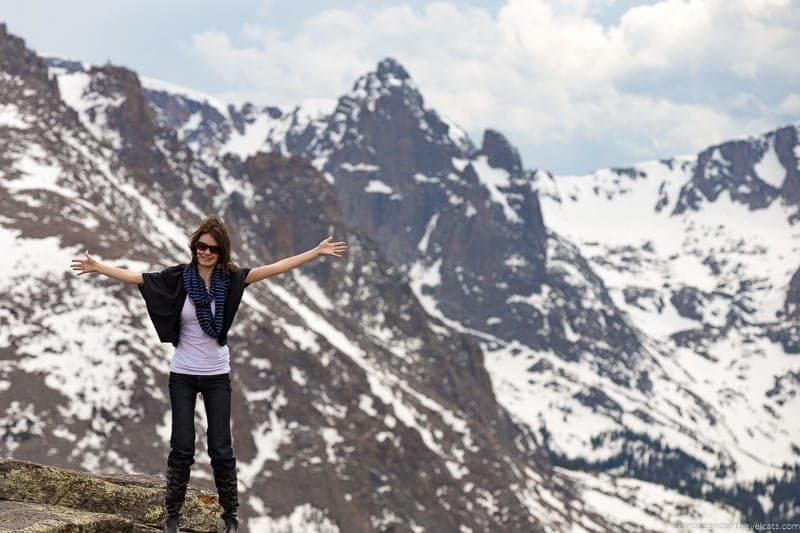 Read Laurence’s post about our tips on exploring Rocky Mountain National Park. We arrived in Estes Park around noon, and decided to try to check to see if our room was available early even though check in was not until 4:00pm. Our room was not ready but the reception called housekeeping and told us that it would be given priority and we would be called when it was ready. We left to grab lunch and received a call about 30 minutes later telling us that our room was ready, so we returned and checked in. We were in Room 219, which I believe was a King Deluxe room. Our room is not considered one of the “haunted rooms”, but it was once part of the L-shaped Presidential Suite that also included 215 and 217. It was the presidential suite (room 217) that Mrs. Wilson, the chambermaid, had entered and fallen through the floor after the gas explosion. This area of the hotel was destroyed in the explosion and the large presidential suite was separated into 3 rooms. Our room was spacious with historical charm, a comfortable King size bed, wardrobe, large desk, a Jacuzzi bathtub, large bathroom, flat screen television, and free wi-fi connection. The room also included complimentary bottled water, toiletries, hair dryer, iron, alarm clock, and a coffee maker. We had views overlooking the front courtyard and a view looking into the distance towards the mountains. The second evening at the hotel, we watched Kubrick’s The Shining on the hotel TV (it plays all day) as Laurence had never seen it before! A great place to watch the film for the first (or fourth) time! We have nothing but good things to say about the room itself; however, there were two minor issues we had during our stay. First, we had difficulty connecting all our devices to the hotel’s Wi-Fi as the hotel’s router kept getting overloaded with devices (we were only able to connect 2 of the 4 our first day). This was a bit frustrating; the hotel staff apologized and said they were working on increasing their network capacity. By the second day, we were able to get all our devices to connect which was great and the connection strength was good once we were connected. The second issue was that because our room was right next to room 217 where Stephen King spent the night, all the hotel tours stopped about 10 feet away and we had to listen to a 5 minute tour talk near our room all afternoon, about every 30 minutes. Also there were quite a few annoying tourists who thought it was fun to come up and scream and jump around next to the rooms and even knock on the doors. I was working one afternoon in the room and this was very annoying. Of course the tours stop in the evening, but if you want peace and quiet, I’d recommend a room in the more private The Lodge (no public access and it is was built just a year later) or at least avoid the second and fourth floors of the main hotel. That said, we still really enjoyed our room and it was a very comfortable place to spend our two nights in Estes Park. We’d definitely choose to stay here again. We did the regular Stanley Hotel Tour which is a 90 minute guided walking tour. All tours begin on the ground floor area (a floor below the reception) and here you’ll find the Tour desk, a few museum display cases, and a video waiting area. The display cases include both historical pieces related to the Stanleys and the hotel, as well as pieces related to The Shining. Our tour began on time and there were about 12 people on our tour. It started with a short introduction by our guide and then a short video about the hotel which focused on the interiors and history of the so-called haunted rooms. I thought this was a good way to show visitors these rooms since you don’t see any room interiors on the tour. Then we all headed outside and visited the Concert Hall, passing The Lodge on the way. Built in 1910, The Lodge was originally called the Stanley Manor, built as a 2:3 scale replica of the main hotel. It was initially used to house unmarried male guests as it was considered inappropriate at the time to house single women and children in the same building as the single male guests. In the Concert Hall we were able to sit down for a bit and our guide told us about the lives of the Stanley family, the building of the hotel, and about the famous guests and performers (e.g., composer John Philip Sousa and magician Harry Houdini) at the hotel. The lives of the Stanley brothers who began their first business together at age 10 was very interesting and quite inspiring, making significant contributions to the photography and automobile industries. I also enjoyed hearing about the good marriage between F.O. and Flora Stanley. We were then given free time to explore a couple of areas of the Concert Hall before heading back outside. We then walked to the front of the hotel to admire the recently planted hedge maze (not an original feature) and facade of the grand hotel. Inside, we were taken through the lobby, music room, billiards room and MacGregor dining room. People were given time to take photos and given tips for the best places for paranormal activity. Most of the rooms on the tour are generally closed off to the public and only used for tours and special events. We also briefly explored the main staircase, the second floor guest hallway, and the supposedly haunted fourth floor of the hotel. We also learned about Stephen King’s stay as well as the making of The Shining film and mini-series. The last part of the tour we headed back downstairs to the museum area and then into a short section of service tunnel area which connects the hotel to the staff entrance. The entire tour mixed historical information and facts with supernatural information about ghosts and paranormal activity. We both really enjoyed the tour and learned a lot, and it is a great way to see the hotel even if you are not staying here. We had one breakfast and one dinner at the hotel’s Cascades Restaurant, as well as drinks in the Whiskey lounge with friends one evening. For breakfast, we thought there was a lot of selection and the portions were large and tasty. But we were especially impressed with our dinner at the Cascades Restaurant. For appetizers we ordered the onion soup and the buffalo sausage with lentils, both were quite good. 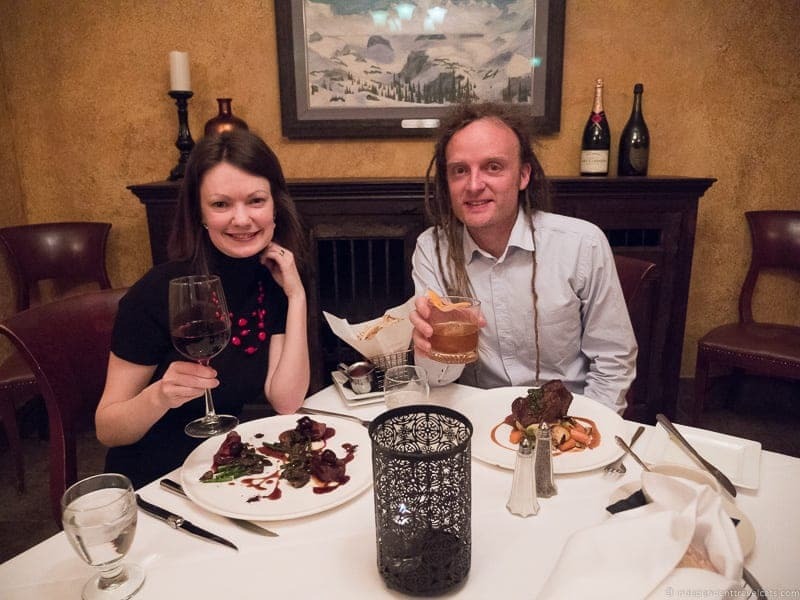 Then we had the Colorado elk loin and the beef short ribs, and while both were great, we highly recommend the elk loin as it was the stand out dish for us during our time in Colorado. 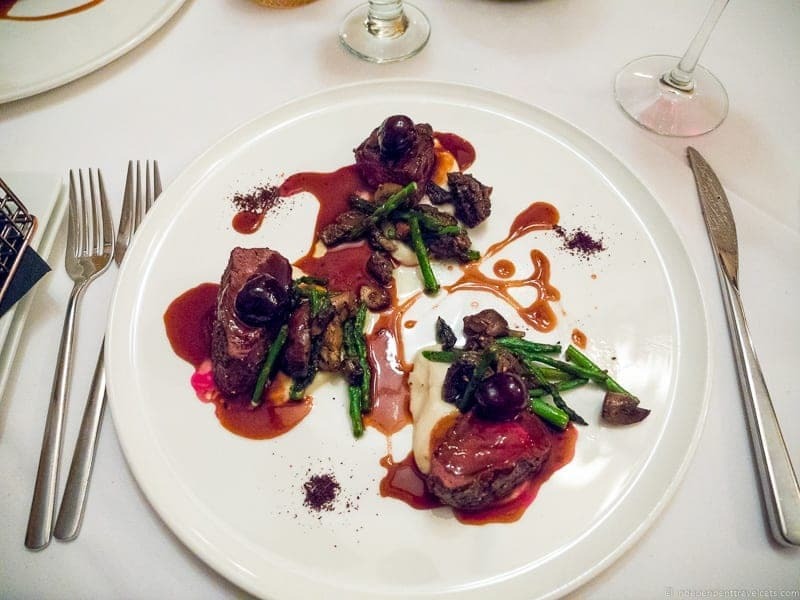 The restaurant is known for its steaks (we didn’t get a chance to try them) and their Colorado inspired dishes so we’d recommend focusing on those dishes. We also had an order of the truffle parmesan shoestring french fries which were so addictive! Sadly we did not have any room for dessert that evening but there were some great options on the menu. During our time in Estes Park, a fellow travel blogger and friend Caroline from Caroline in the City also happened to be staying at The Stanley Hotel with her sister so we met up for drinks at the Whiskey Bar. 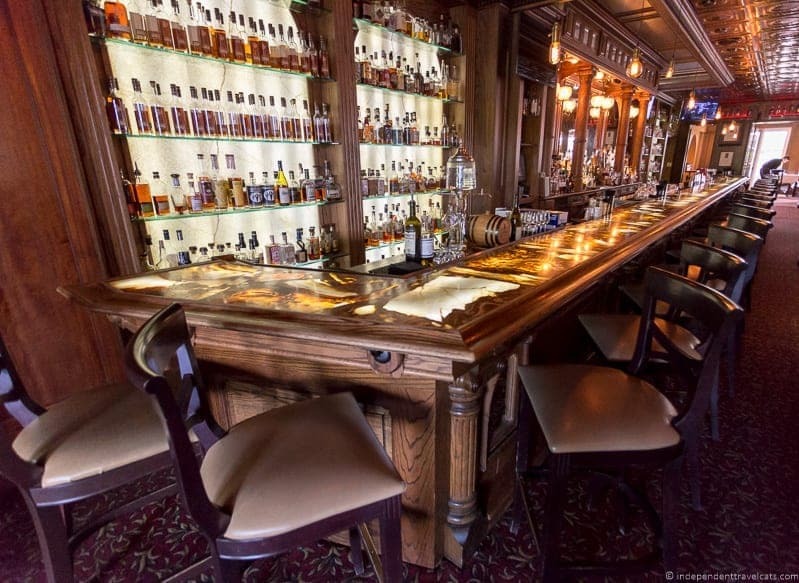 The bar serves a variety of beer, wine, and cocktails, but is best known for having Colorado’s largest selection of whiskeys, bourbons, and scotch. Laurence tried something called a Smoked Old-Fashioned which looked quite interesting and he really enjoyed the taste. I am not a whiskey drinker and the bartender actually made me my own drink after asking me what types of flavors I enjoy. It was some sort of pineapple, berry, lime, and mint concoction that tasted delicious and I wish I would have asked the exact ingredients to be able to replicate it! 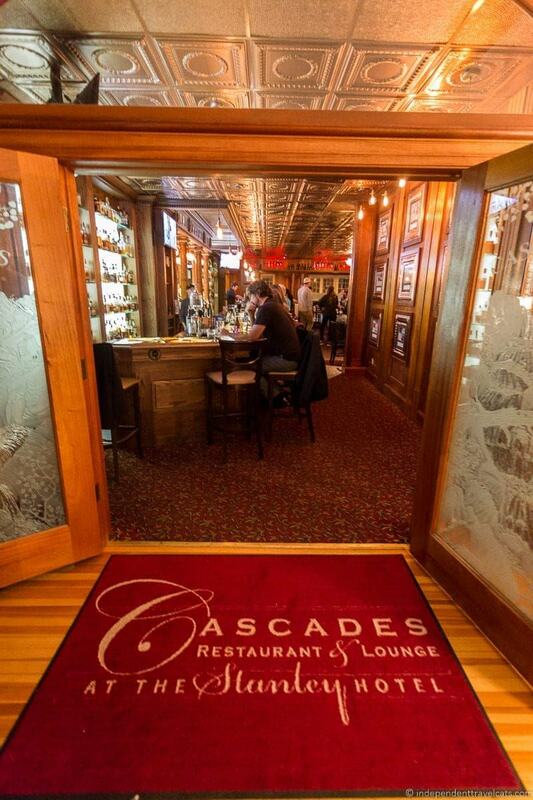 We can highly recommend the Cascades Restaurant and Whiskey Bar, but do make dinner reservations in advance. The bar area can get quite crowded, especially during the summer so come early to ensure a seat. We had a great 2-night stay at The Stanley Hotel. Our room was comfortable, spacious, clean, and had all the amenities we needed. We also enjoyed the hotel tour and learning about the hotel’s rich history and more about the Stephen King connection. The hotel also has the haunted history, which I personally found less interesting but it is a big draw to many of the visitors. Ghost hunter types should definitely consider the ghost tours and the overnight ghost packages. The hotel is a tourist attraction and its appeal to visitors does make for a less peaceful and relaxing stay in the main hotel than one might expect, at least during the afternoons. Those that want more peace and quiet but still want to stay in a historical section of hotel, should consider The Lodge. Staff members were great during our stay, although we learned that the reception desk, restaurants, tour desk, and gift shop operate fairly separately, so it is often more efficient to call or go directly to the dedicated staff for whichever service you need rather than try to relay everything through the front desk staff. We had a great dining experience and would particularly recommend diners to try the local Colorado specialities and ask for what is fresh and local. The bar is perfect for whiskey lovers and we both had memorable drinks from the bar. I love historical hotels and this is a grand ole dame of a resort hotel that has a rich history with a spooky twist. 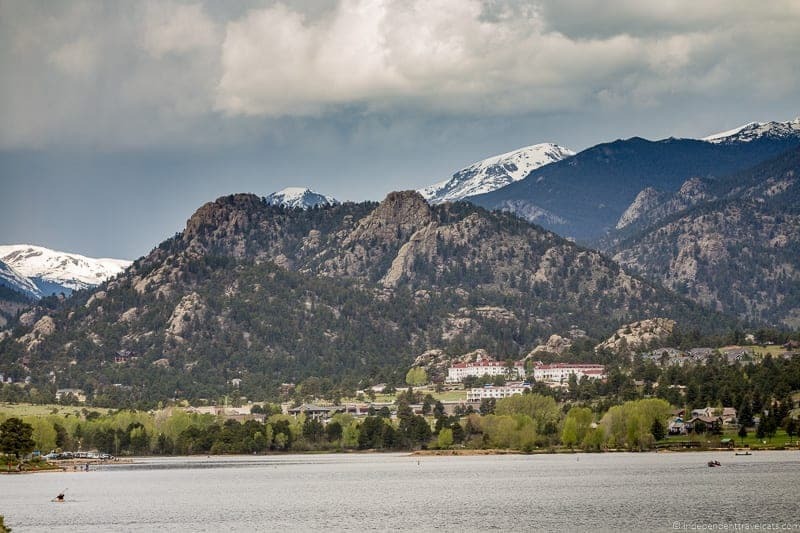 For us, it was a perfect base for exploring the lovely town of Estes Park and the beautiful Rocky Mountain National Park. Hope you enjoyed learning about The Stanley Hotel in Estes Park and our tour through this historical hotel! Would this be a place you would stop if you were visiting Rocky Mountain National Park? Do you enjoy either historical hotels or haunted hotels? As always, feel free to ask us any questions or leave us any tips or advice of your own! I was on line trying to find out what room was adjacent to room 217 at the Stanley Hotel because my Father and I stayed there in the late 70’s and in that room specifically. This was before Steven KIngs story the shinning had come out. I was attending the university of Denver at the time. My father came out for a visit and we drove up to Estes for the weekend and figured we’d find a hotel once we got up there. It was in the fall and once we got to Estes we saw the Stanley and went up to check it out. Indeed, back then the Hotel was no where near the condition it is in today and they were closing the Hotel after that weekend for the winter. We inquired how much it would be to stay there and they said it would be for only the one night since they were closing the next day. We would be the only guests. The guy working the desk gave us a great rate on a big room at the end of the hall on the second floor. Which I now know was Room 219. I don’t know if it still exists but there was a door in the room which connected to 217. There were two beds in the room. A large bed located where the one in your picture is and another smaller one (or maybe a rollaway on the other side of the connecting door to 217. I was awoken in the middle of the night with an uneasy feeling as if I had been shaken awake. As I lay in bed I could hear a strange scratching noise coming from the window which my father had left open a crack. I got up to investigate and it was coming from outside, so I bent down near the opening and looked out and realized it was the flag on top of the hotel snapping in a stiff wind. I went to the bathroom and when I came out I heard noises coming from the hall like bumping against the wall. I went to the door and cracked it open to see who might be in the hall, and when I looked down the hall there was furniture in the hallway against the wall and the light seemed dim. I closed the door and thought to myself what a strange time to be moving furniture, but the guy at the front desk had said they were preparing to close things up the next day so I brushed it off to that. When I got back in bed noises continued, but this time from the adjoining room. I finally fell back to sleep ,but not before once again feeling uneasy and a little bit scared maybe about the bed moving and things going on next door. When we got up in the morning and were getting dressed my Dad asked how I had slept, and I related to him not well and that the movers had kept me up. I told him about the furniture in the hall, but when we opened the door there was none. When we were checking out , the clerk asked us how our night was and my Dad said go ahead and tell him. So I told him about people moving furniture around last night and making noise, and he looked at me funny and said what are you talking about. There wasn’t anybody here moving furniture last night, you were the only two people up there. Years later, when I read that story about Steven King and his very similar story about, end of the season and staying there alone before it shut down and having a strange experience, a shiver went up my neck. I feel it now. 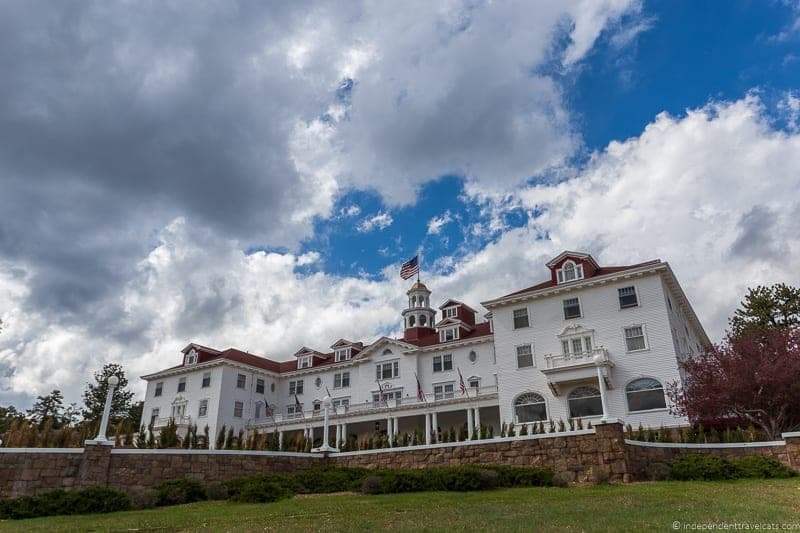 Hi John, What an eerie but memorable stay at The Stanley Hotel with your father, thank you for sharing it with us and our readers! It does indeed send a chill down one’s spine! I am sure if you call or email The Stanley they can provide more information about that specific rooms and if it is has changed since your stay during the 1970’s or not. this is an amazing article on the Stanley Hotel. I like to visit in Colorado and thank you. 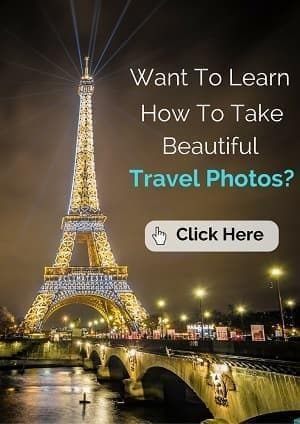 This travel blog is very nice and the hotels are very beautiful in Colorado, thanks for sharing this blog. how can I find out who the construction crew was ie the foreman and carpenters? Hi Keith, The main architects were Freelan Oscar Stanley and T. Robert Weiger, but I don’t know where you can find the crew information. If you are looking for information about The Stanley Hotel that is not included on the website, I would maybe first try emailing the hotel with your questions and see if they can help. Or if you are visiting, the guides may be able to find that information for you. 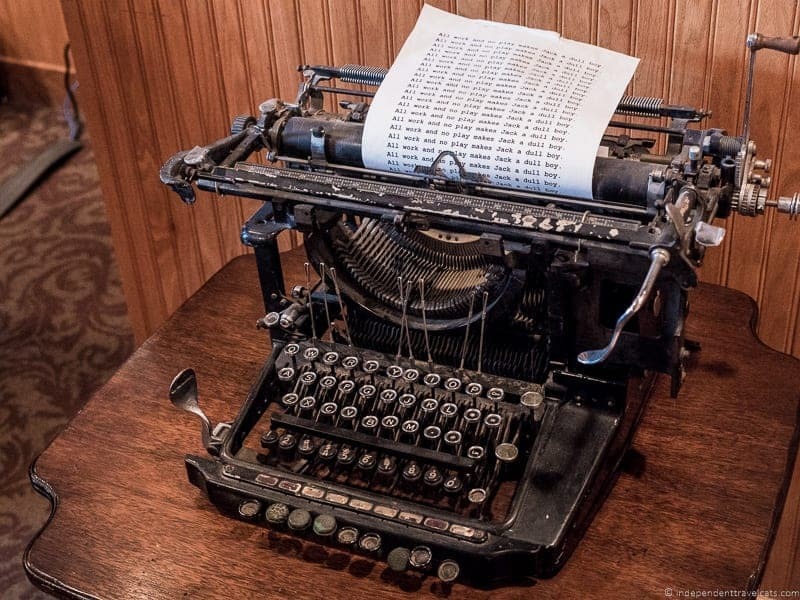 Another place to contact if the hotel doesn’t know would be the Estes Park Museum which has a large collection of local historical information. 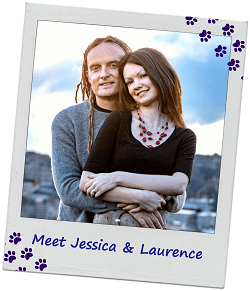 Hi Jessica, My daughter lives in the Boulder area and we have been to The Stanley. I loved reading your article. It was so informative and took me right back to Estes Park. I didn’t get the chance to stay overnight, but it sounds wonderful! Again, Super article, well written. 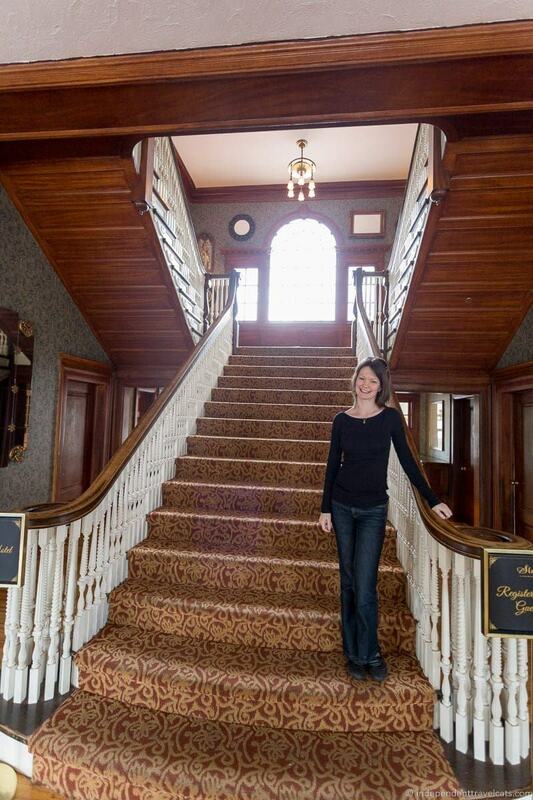 Thank you so much for the amazing post on the Stanley Hotel…I really enjoyed a lot. 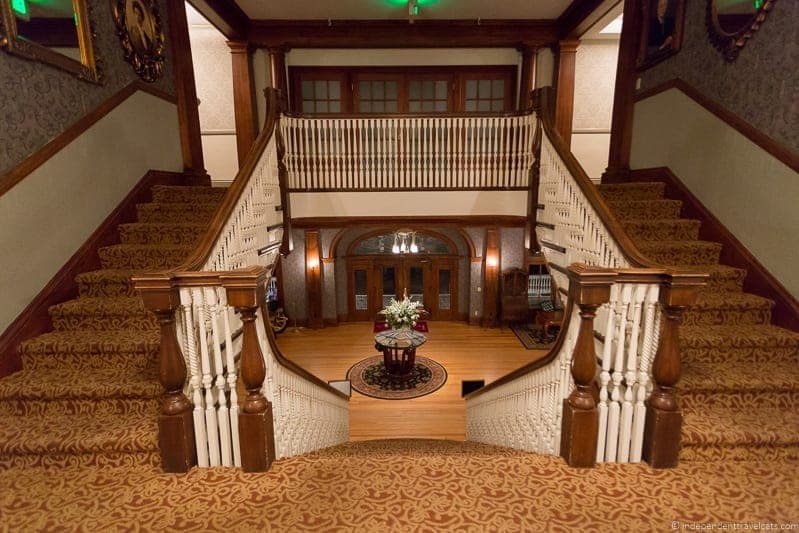 I would love to tour this historical hotel in Estes Park as a fan of The Shining! I enjoy the character and story behind places like this. I have never seen the movie but my curiosity is piqued now. I guess King’s genre is not my favorite. In San Diego, there is a hotel with a lot of history and stories about the ghosts that live in there (Hotel del Coronado). I have not visited yet. I did visited another haunted hotel in Old Town and the stories were spooky. Great story about the hotel. The Shining gives me chills. Some of your wide angle and oblique view photos look like they could be “stills” from the movie. The photo of you two in the mirror sort of creeps me out. I remember that movie so well, and I had no idea this hotel was in Estes Park — which I know is stunningly beautiful. I would love taking a tour and dining there, but I have to admit I’m not sure I would want to spend the night. Isn’t it crazy how much impact a film can have?